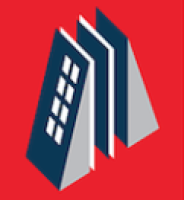 Who We Are May Realty Advisors (MRA) is a team of commercial real estate professionals who are passionate about what we do. Our team has over 25 years of experience and a diversity of skills that range from asset management to sales & leasing, due diligence, development and finance. We are seasoned executive who have cultivated knowledge, experience and relationships over the decades to deliver positive results for our clients MRA Was Established to Serve Our Clients MRA was started by 25-year industry veteran Mathew May after working at and running the retail brokerage operations at some of the most prominent boutique brokerage companies in Southern California. MRA was established to fill a need for full service firm specializing in retail only. We are a firm committed to investing the personal, technological and economic resources necessary to master the complexities of retail. We view each assignment as a partnership and we strive to customize each assignment in the most efficient manner to accommodate our client’s specific needs and operational structure. Our Mission To provide our clients with peace of mind and positive results by assembling a team of seasoned real estate professionals with diverse and complimentary skill-set. We focus entirely on the needs and concerns of our client. We strive to exceed our clients expectations by delivering a level of service and professionalism, which sets new standards for our industry. We recognize that our business comes from within our community and we have an opportunity and obligation to give back. We acknowledge our fiduciary obligation to our clients and respect the trust they have bestowed upon us. Our success is measured upon the success of our clients.